Norah Gaughan’s Bubble Pullover pattern. 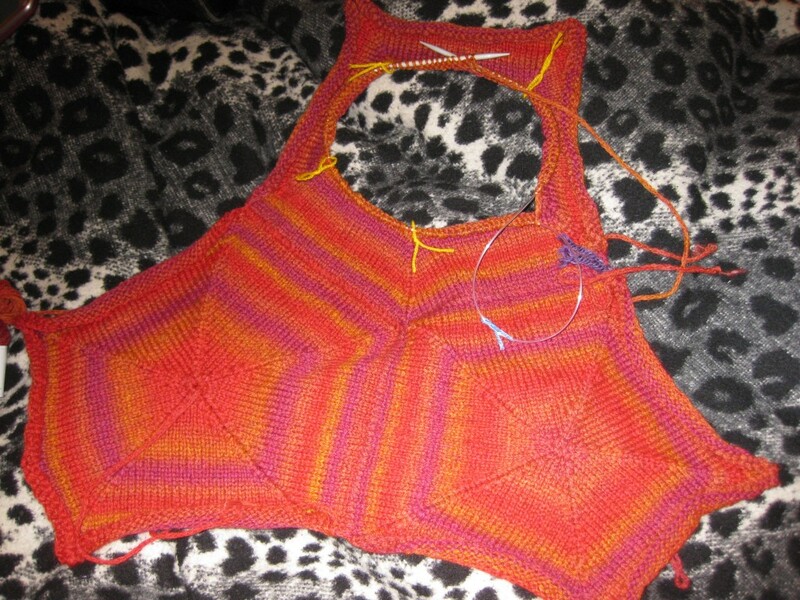 So you knit all these pentagons from the outside in and magically a jumper appears. The colours are a little more muted in real life.